Every year journalists in the industry forecast what is new for the next year. What I saw when digging around (no pun intended) were subtle offshoots of similar themes over the past few years. This post tries to make sense of what experts are forecasting and why homeowners and property managers should be interested. More work getting done outdoors. The trend – landscaped meeting areas that include hardscape, plantings and comfortable furnishings including WIFI – are big differentiators. It’s an employee’s market. Job seekers want more flexibility and a work environment that suits their healthy lifestyle which means having the option to work, exercise or meet on site. Examples of this trend are tech companies, including Facebook. Their new nine acre rooftop park boasts a half mile walking loop and 400 trees. This, while not new, is starting to look like the norm in landscaping designs. Property Managers have become educated to the benefits of rain sensors, smart irrigation controllers and drip irrigation where appropriate. 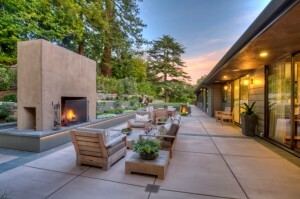 LEED has recently purchased SITES (Sustainable a rating system for sustainable landscape design started 2009. Rick Fedrizzi, CEO of Green Business Certification Inc. (GBCI) says “Landscapes knit together the fabric of our communities, and sustainable landscapes are critical in their ability to reduce water demand, filter and reduce storm water runoff, provide wildlife habitat, reduce energy consumption, improve air quality, improve human health, and increase outdoor recreation opportunities. SITES is an important addition to our toolkit, and GBCI appreciates this opportunity to support this additional contribution to healthy, thriving communities and neighborhoods.” This is a new opportunity property developers and managers. The construction boom in San Francisco and other urban and suburban continues.abated. San Francisco, (3rd in the nation for ultra “high net worth” residents) is building about the most prestigious condominiums catering to the affluent residents with amenities such as beautifully landscaped outdoor living areas that include an entertainment, games, outdoor grills. Each more luxurious than the next. This trend is fueled in part by job growth in high-tech and bio-tech industries. The target market for these are Millennials, GenXrs and to a lesser, but growing extent, baby boomers. An article in “Turf Design/Build” website talks about traditional stone and column entryways being replaced with color panels with raised layers of glass and steel. You cannot say plants with out adding the suffix “drought tolerant”. There are a host of creative solutions to differentiate your property without spending your entire budget. 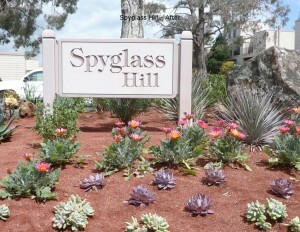 Boulders, succulents, mulching perennials and other permanent plantings offer color, texture and beauty. Factors that are driving this trend include the drought, higher percentage of homeowners with dogs. In fact a study of San Francisco residents counts 120,000 dogs. Both San Francisco and Marin County are gradually moving toward reducing the use of pesticides. The Marin I.J. says that the county may initiate an educational campaign against Roundup aimed at homeowners who use the product. People are increasingly overworked and are looking at gardens for Zen like experiences that include music, lights and water. 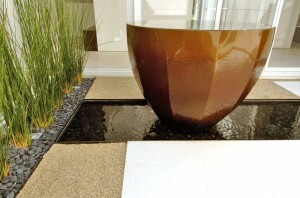 Textural elements include statues, water fountains and planters. More people are growing their own food. Yes – this word is being used. Changing demographics; growing number of dog owners who demand a pet friendly garden. They are particular about plant types and will eliminate any that may be harmful. This is not new, but it is expanding. Our warming climate is one factor.